200 Degrees has only been around for a few years as a roaster (all coffee is roasted in Nottingham 'on the banks of the River Trent'), and as a coffee shop (now with 8 locations in the Midlands and Wales). 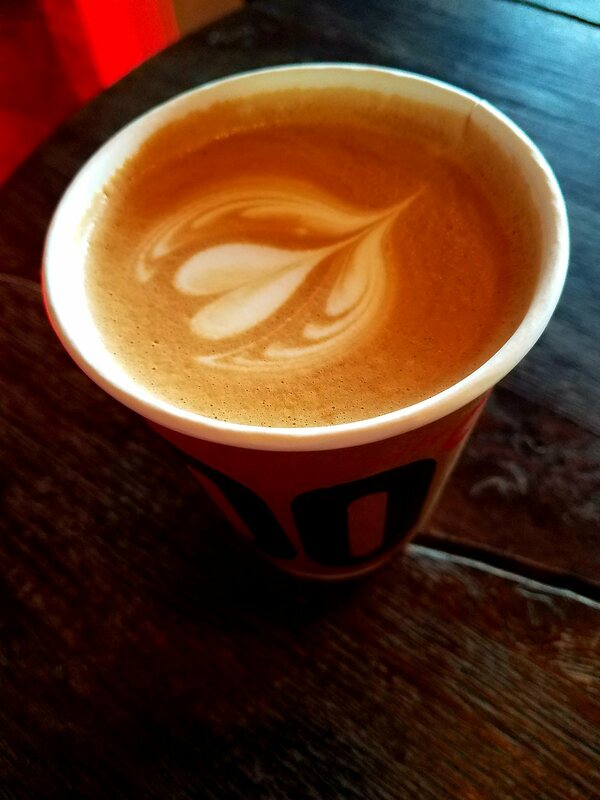 However, it has made quite an impact with its slow-roasted coffee and amiable atmosphere. 200 degrees is the temperature at which the shop roasts its green coffee beans (in Centigrade) and the 'ideal temperature at which to brew coffee' (in Fahrenheit). The temperature is lower than average coffee roasting temperatures in order to achieve a slower roast and ultimately a smoother, less bitter taste to the coffee. The same attentive care is applied to decaf coffee beans, which are decaffeinated using Mountain Water Process - a method to remove caffeine using water instead of chemicals. The second 200 Degrees shop to open in Nottingham is located right next to Nottingham train station. 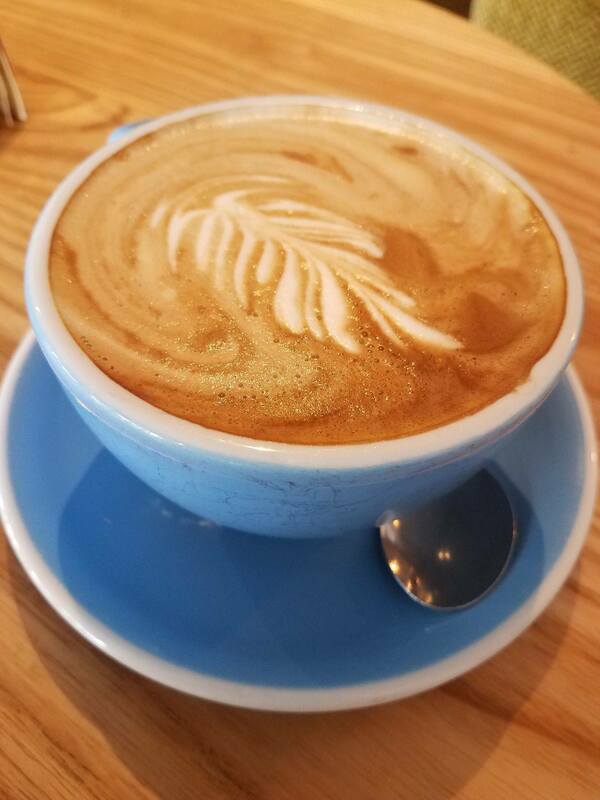 It has the same delicious coffee and friendly, inviting atmosphere, but a slightly earlier opening time to serve commuters and train traffic. 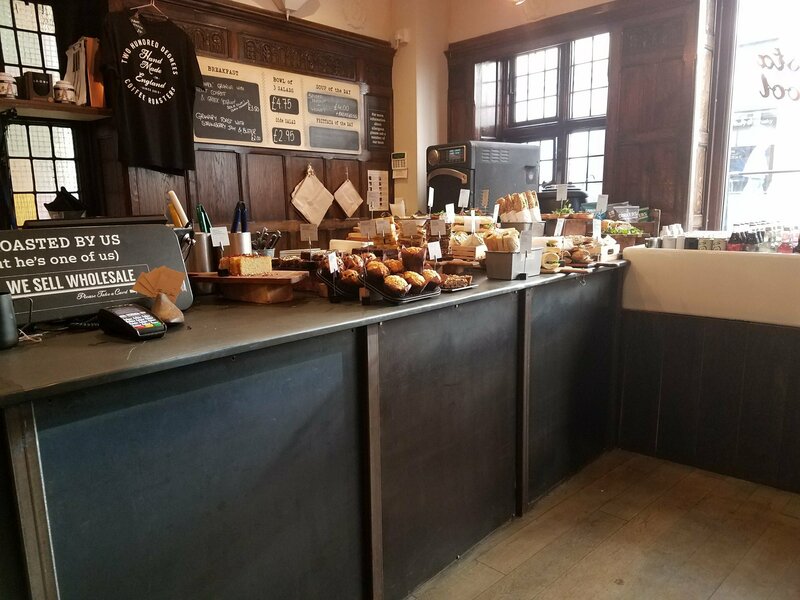 Both locations offer a range of freshly made breakfast and lunch items, such as muffins, pastries, croissants, sandwiches, sausage rolls, and salads.